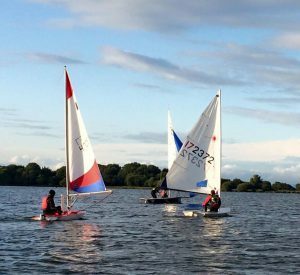 Bright Night Sailing is an opportunity to develop sailing skills and experience a sailing programme which introduces racing. Ideal for those who have gained a level of experience on a Learn to Sail course or Sail for Fun sessions. It is ideally suited to the more independent sailor. Starts Friday 3rd May 6.00pm – 9.30pm for 8 weeks every Friday. Bright Night Sailing is FREE to club members.